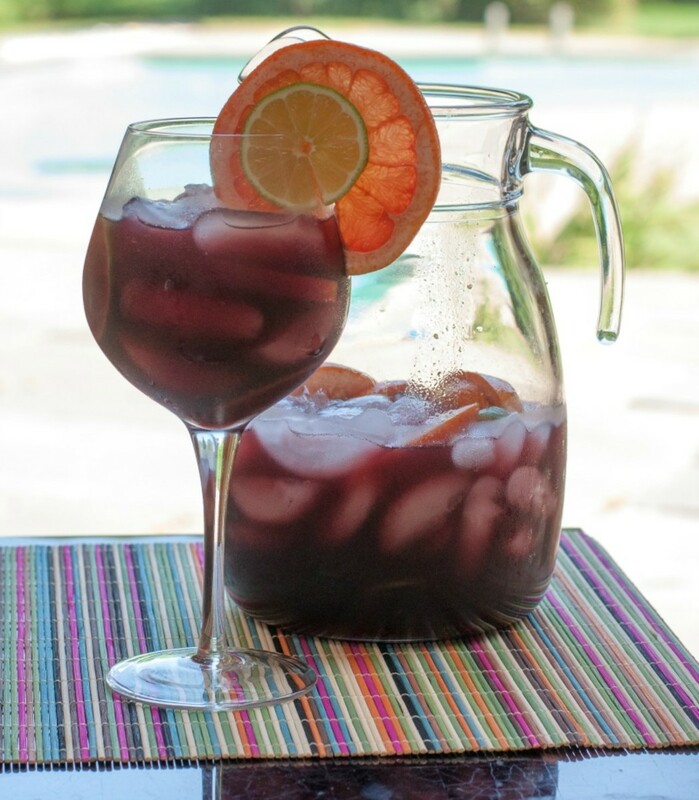 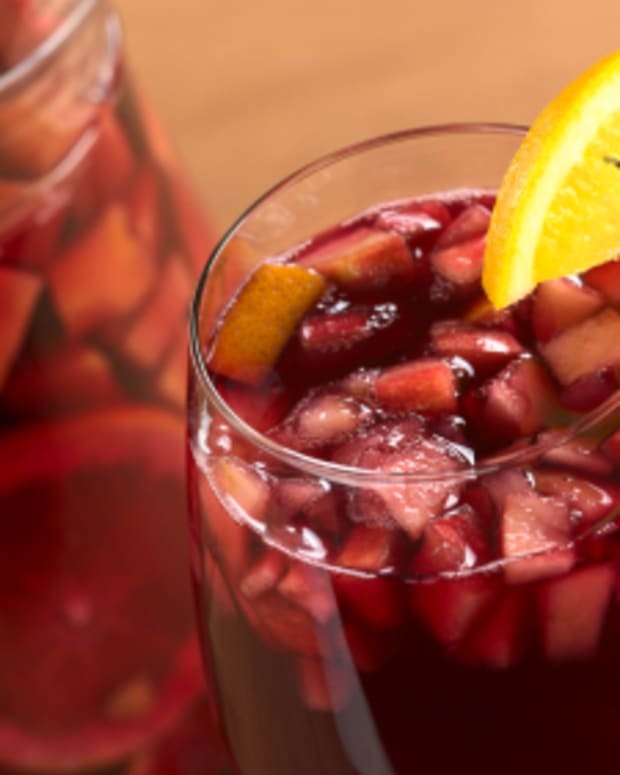 Refreshing and delicious, this sangria sings well with so many dishes--but with garlicky dishes, it dances a little merengue, too. 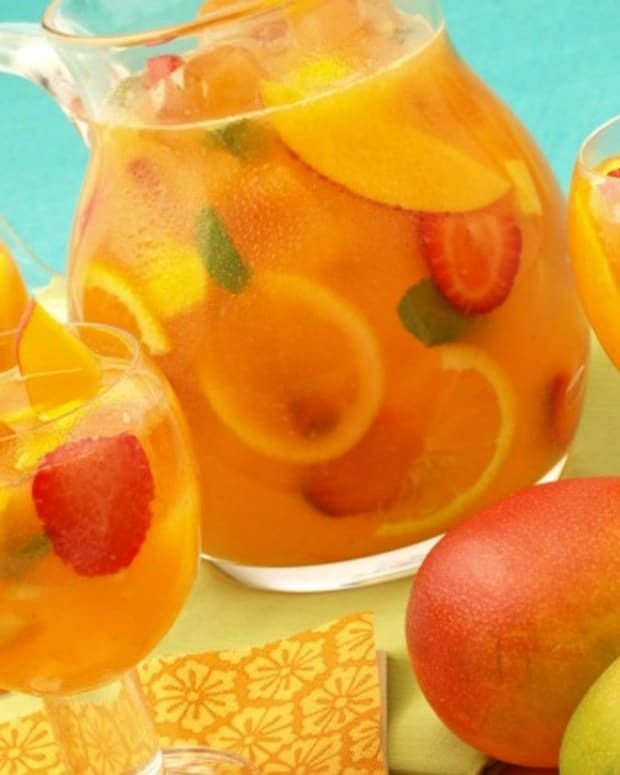 If you can’t find sour orange juice ( it’s in the Latino section) you can use fresh orange juice, fresh lemon juice and fresh lime juice ( 1 tablespoon orange juice;1 tablespoon lime juice; 1 tablespoon lemon juice). 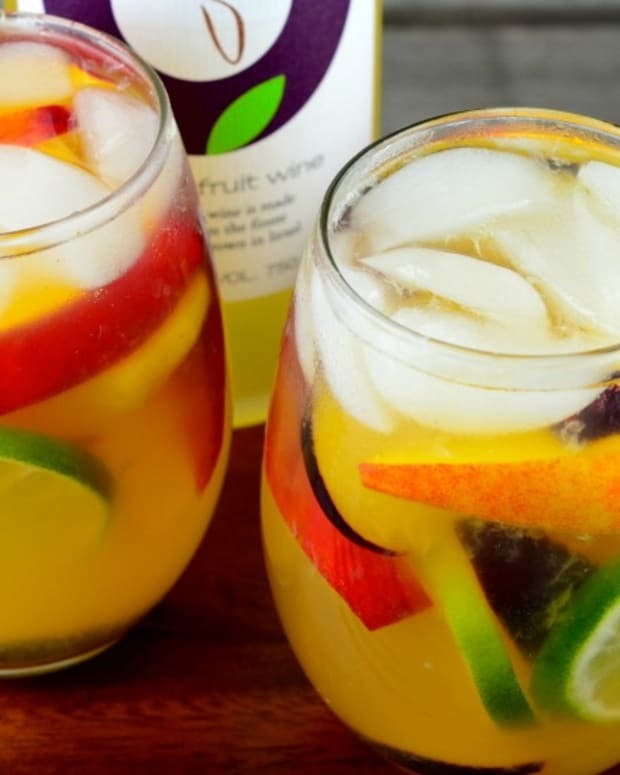 1) Place half of the sliced fruit into a large pitcher. 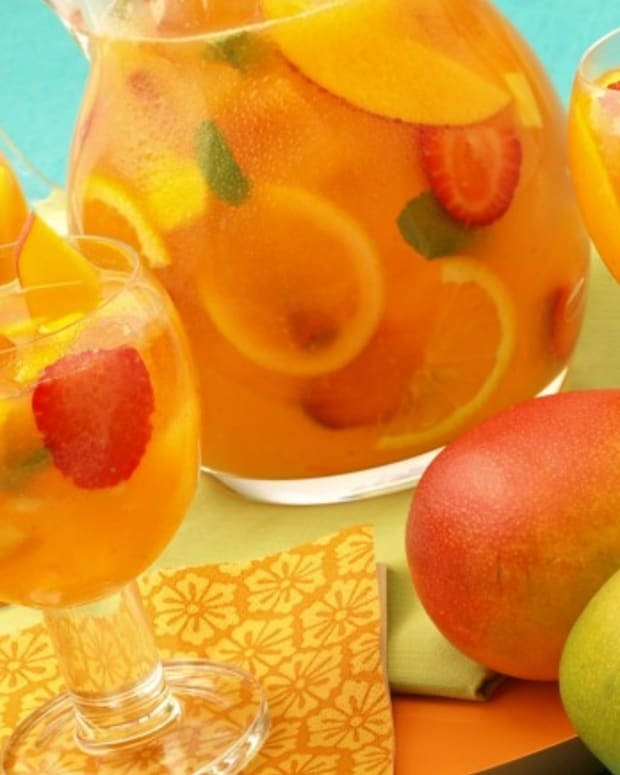 Add the wine, guava nectar, apricot brandy, key lime juice, and sour orange juice and stir gently to combine. 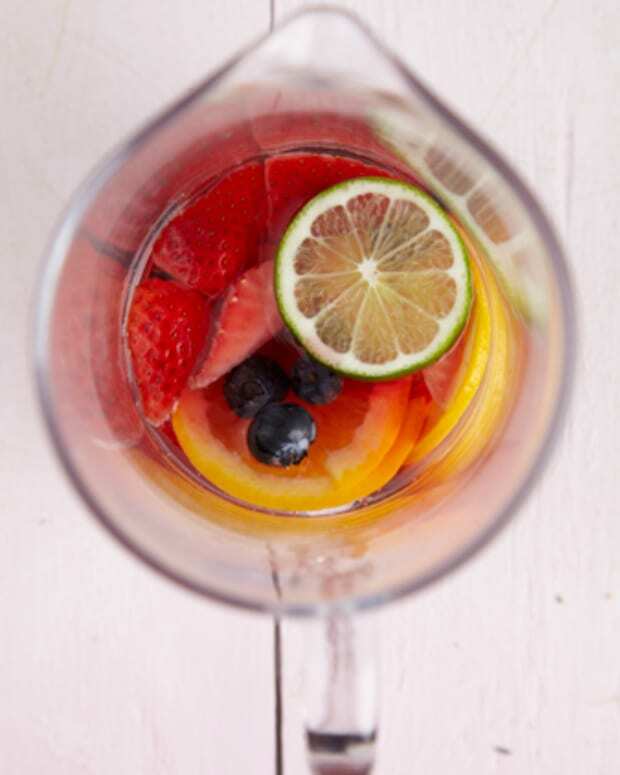 2) Add 2 to 3 cups of ice cubes and the remaining fruit, stir, and serve.